The Double S is the namesake plan for the Double S Ranch, home of the Satterwhite family in Texas since 1879. At 640 sq ft of living space on the main floor, this compact cabin is a step beyond the typical definition of a tiny house (400 sq ft), but what the Double S lacks in absolute efficiency, it makes up in practical livability. This includes space for distinct living room, dining area, and kitchen, a bedroom, bath, and utility room with space for a full size washer and dryer. A ladder accessible loft adds 182 sq ft of storage space, a terrific bonus in a house this size and something many people would consider essential. 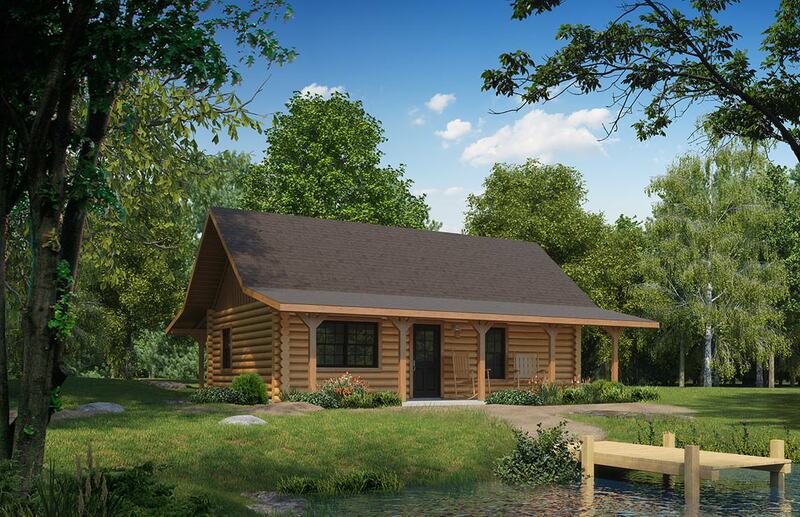 All-in-all, the Double S promises to serve well as a practical log cabin cottage, or potentially as a rental cabin in resort or retreat settings.